Bitcoin: A New Method of Payment for ManageWP? ManageWP exists within a truly global community — we are proud that people all over the world use our service. However, not everyone can gain access to the best features that ManageWP has to offer. While anyone can get their hands on a free account, limitations imposed by payment processors prevent us from transacting with people in certain countries due to political disputes, fraud concerns and other issues completely unrelated to the average ManageWP fan. This is entirely out of our hands and is a problem that people run into all over the web. It is a source of great frustration to us — we think it is entirely unfair that people should be blocked from accessing our tool due to nothing more than geographical location. However, the introduction of an innovative new payment gateway may give us the possibility to reach people who otherwise couldn’t use ManageWP. With that in mind, I’m writing this post to ask you one simple question: would you like ManageWP to accept Bitcoin? In a nutshell, Bitcoin is a digital currency that allows you to make instant payments over the web. In that sense it is similar to PayPal, but the key difference is that there are no geographical limitations to payments made with Bitcoin. To put it simply, any vendor that accepts Bitcoin can accept payment from anyone in the world with an Internet connection. The challenge in using Bitcoin is getting your hands on the bitcoin digital currency — you can find out more about how to do that here. The potential upside is of course huge though — those previously locked out from the outside world can now transact with any vendor that accepts bitcoin currency. Which brings me back to my original question: would you like ManageWP to accept Bitcoin? it is certainly something we are considering but we are interested in what you have to say. Please give us your opinion in the comments section! I am very much excited to know more about Bitcoin payment as i am new to this method. I’m excited to hear about bitcoin although i don’t really understand how it works. It’s just good to have options. I would love to see you accept Bitcoin because the world will be a better place if Bitcoin prospers. Since I live in the US, there seems to be no need for me to pay you via Bitcoin. Our pleasure Jim. We are also considering using Coinbase to accept payments. I think Bitcoin is a really great concept. It’s a good start to equalize access to services (and goods) globally. 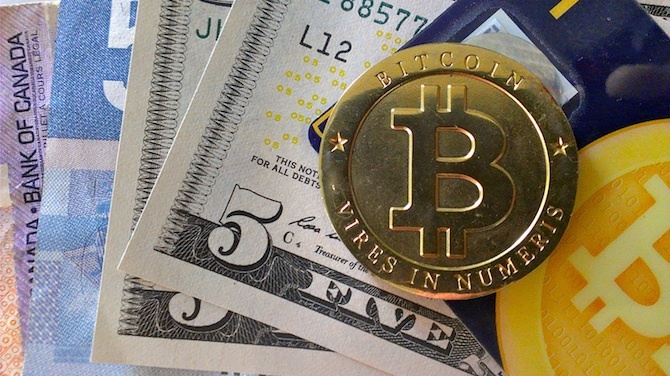 Bitcoin needs more regularly companies to make us of it, so it can gain global traction. I never had the opportunity to pay services I use in Bitcoin, cause they didm’t have it integrated in there payment system. So from more than one perspective, I think it’s really valuable that ManageWP would start to accept Bitcoin. I’m in the US, so I wouldn’t use it, but would be all for something that helps others have the freedom to use your product regardless of location. Bitcoin seems relegated to the über-geeky at the moment, but that is likely a good portion of your audience. From a business perspective, what are the drawbacks to ManageWP accepting Bitcoin? Aside from integration into your systems (which may not be trivial), are there other costs? Do you have any idea of how many potential serious users you’d add by offering Bitcoin? We don’t that’s why we ask with this blog post 🙂 If enough people want it we will introduce it! anything that makes it easy.